A major idiosyncrasy (to Americans) of Israeli politics is the fact that, though Israeli Prime Minister Ehud Olmert currently enjoys an approval rating solidly in the single digits, he is perhaps more secure in his position at the top of the Israeli government than he has been at any time in his tenure as Prime Minister. Presiding over a broad coalition of parliamentarians, Olmert is sticking to his guns (as inapt a metaphor as can possibly be applied) and is doing his best to reinvigorate the Middle East “peace” process by repeating mistakes that made Israel’s position so precarious in the first place. As Caroline Glick, Israel’s more dour version of Ann Coulter, said in a recent Jerusalem Post column, “Olmert and his ministers pursue diplomatic and security goals that bear no relation to the regional and global realities facing Israel.” The man whom few expected to make it through last year’s disaster of a “war” (the 33-day battle with the Iranian proxies Hezbollah in Lebanon) is continuing down the path that not only endangered Israel’s national security and led, in part, to that war in the first place, but that caused him to be looked at as a farce of a leader by over 90% of his own population. Rebuilding an Arab newspaper building hit by rockets. 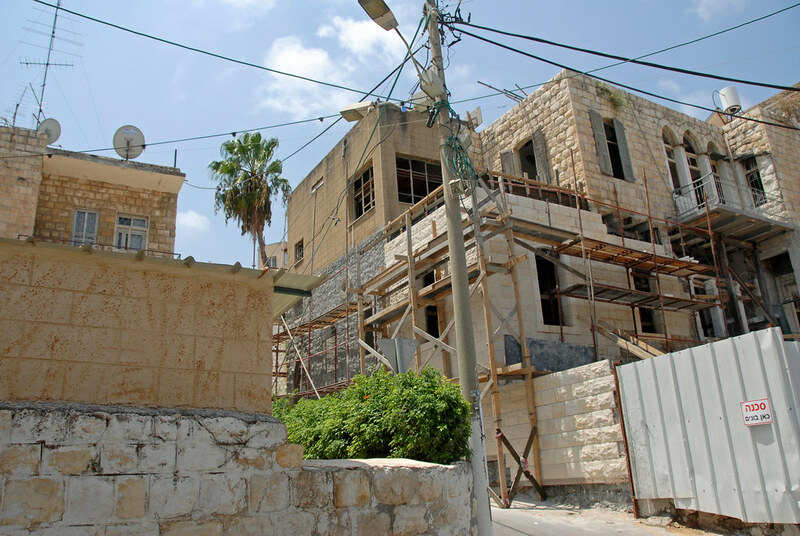 On the left, you can see the virtually unblemished home of the two Arab Christian grandparents killed, while shepherding their grandchildren to safety, by ball bearings with which the rocket was filled. More here. A year ago, during that war, Olmert said that Hezbollah could “never threaten this nation that it will fire missiles at it, because this nation is contending with these missiles and beating them” – also claiming that the IDF “had destroyed all of Hezbollah’s military infrastructures in south Lebanon” – the day before 231 rockets and missiles rained on the small Jewish state, marking the Iranian-armed group’s largest bombardment to date. Not outwardly rattled by the onslaught, Olmert pressed on with his dovish policies, saying that the next step would be a unilateral withdrawal from Judea and Samaria – the two territories on Israel’s eastern border (across from the country’s nine-mile-wide “narrow waist”) which currently serve as buffers between Palestinian rockets and the civilian populations of Israel’s major cities. Amazingly, Olmert then (as now) did not comprehend the obvious: the conflict he then sought, and now seeks, to dampen through unilateral concession was escalated to its current scale by the very policy he is currently advocating. In the Gaza Strip, Israel (under Ariel Sharon) unilaterally withdrew to the borders of the town of Sederot, leaving the Palestinians there to their own devices (although with power still provided to the territory by a southern Israeli power plant); under Olmert last November, a cease-fire agreement was reached between the two entities. 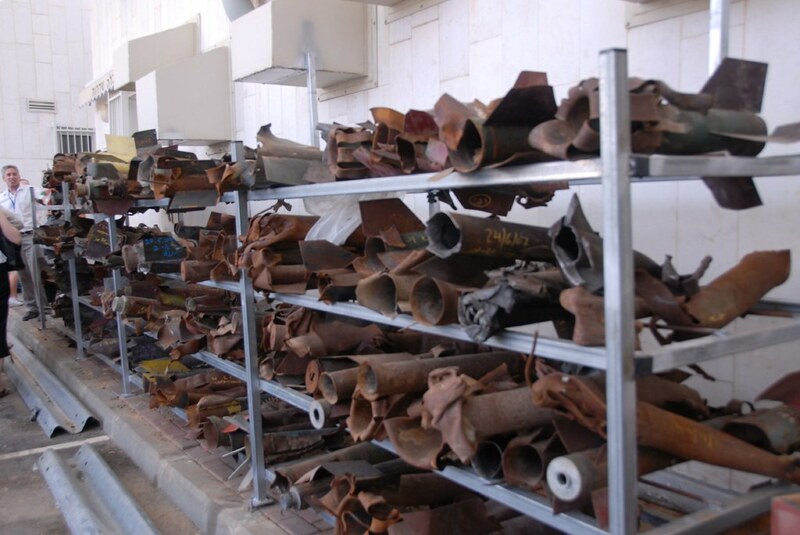 Just some of the hundreds of homemade (water pipe, rebar, soldered fins, ball bearings/nails, and explosive) rockets indiscriminantly fired from Gaza into the civilian town of Sederot on a daily basis. This collection, at the Sederot police station, is of rockets which have landed in the city. The result? Since the cease-fire was agreed to, the Palestinians in the Gaza Strip have launched over 330 homemade Qassam rockets (fashioned from water pipes – no wonder Gaza has no infrastructure – and rebar, and filled with nails and ball bearings) at Sederot – a town populated entirely by civilians – as well as at the plant which provides Gaza with its power. Further, in June of last year a tunnel from the Strip to an outpost on the border was completed (a three-year project), which allowed Hamas terrorists to infiltrate IDF defenses and to kidnap Cpl. Gilad Shalit. Over a year later, Shalit is still being held captive. This is, of course, an entirely wrongheaded point of view, and is one which Americans such as Condoleezza Rice are guilty of holding, as well. The attributing of Western ideals and values to a foreign population is entirely erroneous, and is, in large part, the source of many of the ills not only in Palestine, but in areas like Iraq, as well. A brief look at Palestinian state television will show just how different the Palestinians’ view of “quality of life” is from Americans’ and Israelis’. The glorification of suicide bombing, the triumphant refrain of “how many Jews did you kill?,” and the constant drumbeat of self-sacrifice in the act of murdering Israelis as a glory in itself – on children’s programming – is standard fare on both Hamas and Fatah-funded state television – and all of this is backed by the growing specter of Mahmoud “A World Without Israel” Ahmadinejad’s potentially nuclear Iran. While Iran is, to many, a case in and of itself, the sense among the reality-based Israeli leadership is that it is the engine driving the Jewish state’s ever-growing security problems. Katyusha rockets, small arms, and Korean-designed surface-to-surface missiles all reach both Hamas and Hezbollah via the Persian state, and others in the area – such as Syria and Egypt – are falling further under its influence, as well. 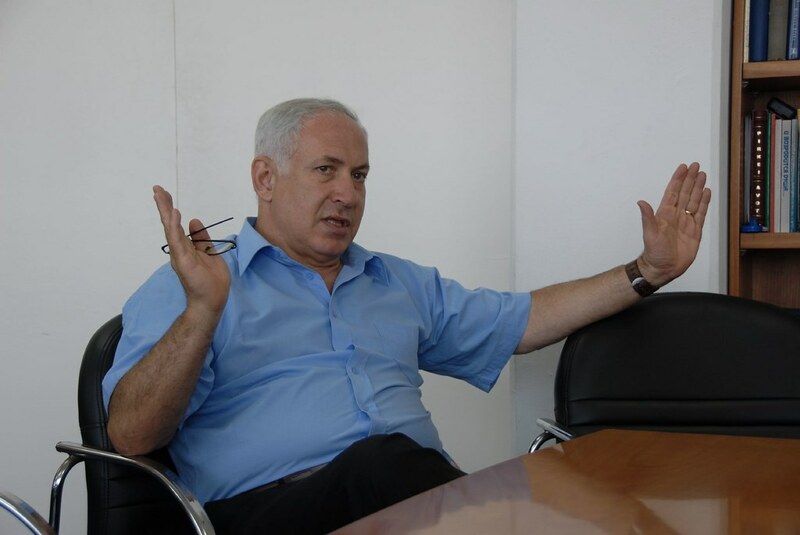 Olmert’s Defense Minister, former PM Ehud Barak, recently unveiled a plan to put in place a “missile defense” system which he envisions as being able to stop anything from ballistic missiles to homemade Qassam rockets – a sheer fantasy at best – which he claims will make vacating Judea, Samaria, and the Golan Heights both painless and danger-free. However, in presenting this, he glosses over the fact – shown by last year’s Lebanon “war,” in which the cross-bay city of Haifa was bombarded with missiles and with Katyusha rockets from a territory unilaterally abandoned by Israel (under Barak) in 2000 – that territory must be held as a buffer before any such defense can even begin to be put in place. Such sense appears to be falling on deaf ears with regard to Olmert and his ‘coalition.’ When meeting with her in Jerusalem, I asked his spokesperson, Miri Eisen, what her response would be to those who say that unilaterally making concessions is a well-known sign of weakness to Israel’s opponents, and, like in Lebanon and Gaza, would serve only to embolden the fighters to strike harder. All in all, that is not overly encouraging.